Read from January 17 to March 07, 2014. 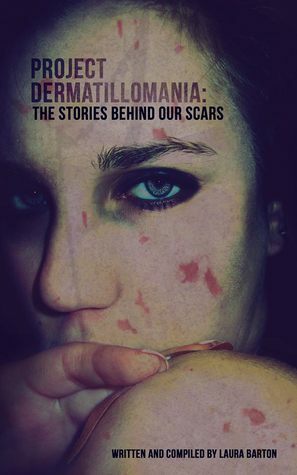 This book is by far the most comprehensive, supportive and positive guide out there right now for Dermatillomania. I can’t say enough good things about this book! This is a condition that I have personally struggled with deeply. I can safely say that through my own methods I was able to battle this condition for the most part and I am now an advocate for awareness and support. I wish that this book existed during my most troublesome times as I definitely would have battled the worst of the condition a lot sooner with this kind of help. This book has truly provided me with the final resources that I needed in order to say goodbye to this habit forever. I took a long time reading this book in order to go through all of the motions, guides, suggestions and exercises so that I could give it a good comprehensive review. I can honestly say that if you follow Annette’s methods, you WILL get results! So many people find themselves completely controlled and at a loss with this disorder. It’s a helpless feeling. This book shows you how to get back that power, and more importantly, that you cannot define yourself as this disorder and cannot submit to its definition. It shows positive strategies to curb your urges and shows you that in order to fully tackle the habit you must determine the emotional reasons and routines for carrying out the vicious cycle of picking. People start picking for so many reasons but it’s always to find relief. Often times it’s a matter of dealing with stress because we haven’t found other methods of doing so. One thing that Annette stresses is the readiness for a person to stop picking. It’s hard thing to admit and even harder to give up something that feels good and that you’ve relied on for so long. Her book not only provide methods with how to start this process but how to keep a long standing positive replacement to the picking. How to stop victimizing and beating yourself out. Forgiveness and acceptance is crucial. You are not powerless to this condition and you can stop. In order to stop you need to accept this. Track your picking in a habit log. This is the one part that she stress the most. If you aren’t able to recognize the feelings associated with picking as well as when and where they occur you’re not going to able to stop it before it begins. Recognizing your negative thoughts and behaviours. Retraining how you think is necessary for overcoming this as most of the time urges come from an unnecessary uncertainty or beliefs. Actual techniques to block and prevent urges. Gloves, toys, exercise, meditation etc, and just why they work. Long standing methods to deal with your stress and emotions in a healthy positive way. Annette takes a very holistic approach. Other things that could contribute and make your urges worse (sugar and alcohol etc). Compassion oozes from this book. Annette herself used to struggle and live with this disorder herself so she completely understands what every sufferer goes through. Her writing is so gentle and soothing. She knows that we’re all going to mess up but that there is still progress and success in each mess up and mistake. What I believe makes this book the best resource out there is that it’s the first to really go into the emotional sides as to why people pick and tackles those issues directly as a step for overcoming this disorder. In my own struggles, that was the only thing that worked for me after countless other resources. Overcoming this disorder is truly a process of steps and Annette can take you through them. She provides so many additional resources in terms of supplements and other reading material as well. What makes it even better is that Annette is a life coach and personally deals with helping her clients combat this particular disorder. You can find more information about her services on her website. For those that are affected by this disorder, please, PLEASE, read this book!